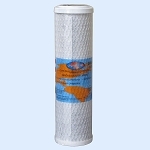 Pentek ChlorPlus 20 Chloramine removal Water Filter Cartridge is a 20" x 2.5" Carbon Block 1 micron Water Filter cartridge # 255417-43 designed to remove chloramines from drinking water. ChlorPlus Water Filter is a premium, high capacity Chloramine, Taste and Odor reduction cartridge that also reduces chlorine and sediment. Chloramines, (also known as monochloramines ) is chlorine combined with ammonia. The chemical has become a popular alternative to free chlorine for water treatment, because it has less odor. 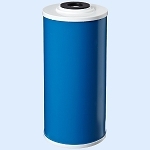 The Pentek Chlor Plus Water Filter Cartridge is a 1 micron cartridge that is designed to removes chloramines. Pentek Carbon block Chloramine reduction cartridge also provides sediment reduction. 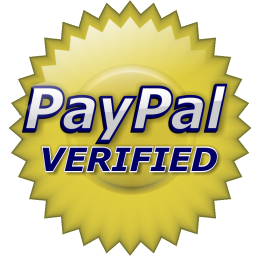 Filter Media: Advanced bonded PAC. Powdered activated carbon (PAC) has a relatively smaller particle size when compared to granular activated carbons and consequently, presents a large surface to volume ratio.